It was a pretty unique time for a small area of West London in the Summer of 2005. Hayes Football Club, an established cornerstone of the non-league game with an illustrious history, had just completed a season in the inaugural Conference South, having made the cut the previous season in the Isthmian League where final position was going to be pivotal. The club had enjoyed some good times just prior to this, having spent six seasons in the Conference National, which had seen a best placed finish of third in 1999. 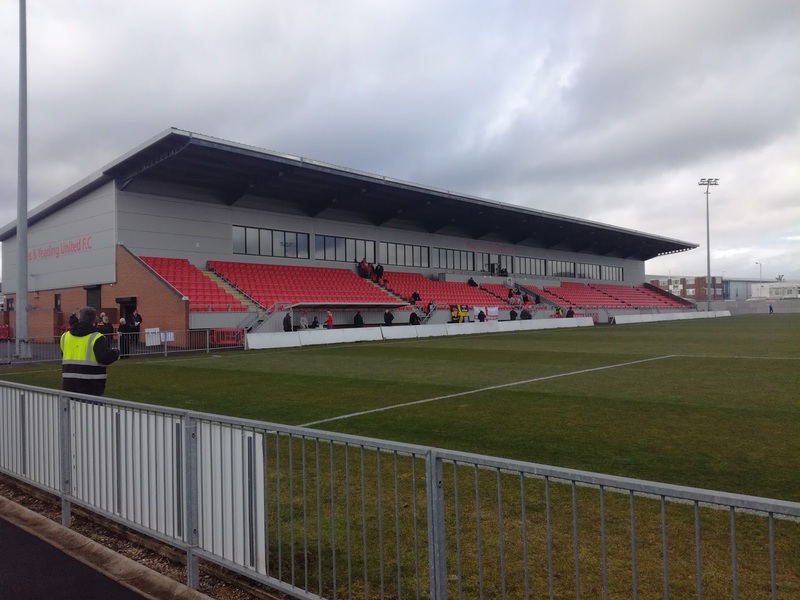 The Church Road ground was a classic old stadium, built on a huge site, but it was also very valuable and coveted by the developer. 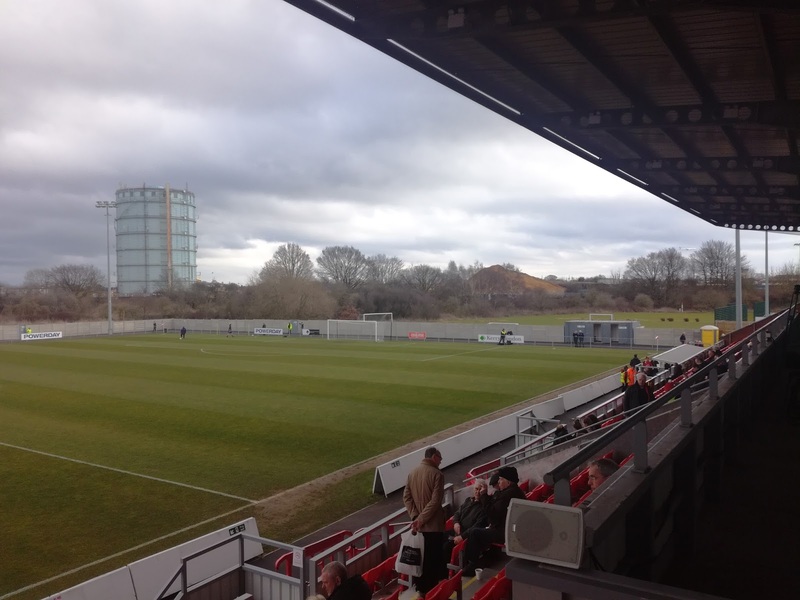 Less than three miles to the East was an up and coming young club by the name of Yeading. Having only joined senior football in 1984 they worked their way through the London Spartan League, then the divisions of the Isthmian League, before consecutive promotions saw them arrive at the same level as their more illustrious neighbours. 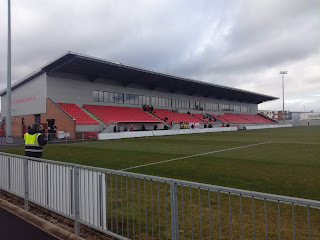 Yeading, playing at the modest and more contemporary Warren, located at the end of an Industrial Estate, didn’t have the history, the support or the facilities that Hayes had, but they had made people sit up and notice by reaching the Third Round of the FA Cup in 2004-05, before losing to Newcastle United. This wasn’t an isolated success because over a twelve year period both Colchester United and Gillingham were held to draws in the Cup before replay defeats, while their final outing in the Cup saw them lose at Nottingham Forest. Add to that an FA Vase win for good measure and we had a club punching well above their weight. The two clubs played out the 2005-06 season in the Conference South with Hayes finishing 20th and Yeading finishing 16th. The following year both clubs replicated those finishes, but a plan had been hatched. Merge the clubs, develop the Warren into a stadium that would be fit for the Football League, sell off the valuable Church Road ground, and by doing so create a West London super club that would sweep all before them. In theory it was a great idea, but not strictly well received by the supporters, especially those of Hayes who feared a loss of identity, and of course an iconic home, so how did it pan out? Under the moniker of Hayes & Yeading United, they took two seasons to win promotion back to the Conference National, but time was running out in terms of the ground. 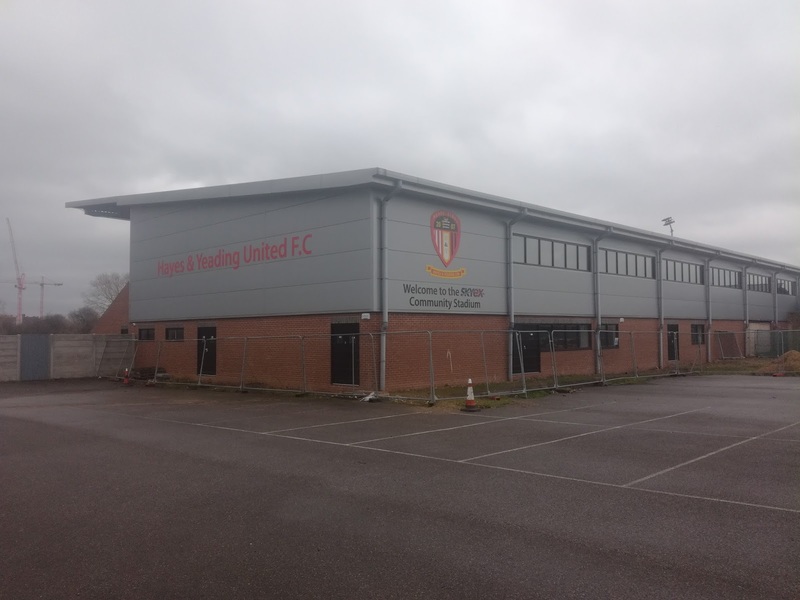 Church Lane was sold, but the Warren wasn’t ready, so ground shares took place at both Woking, Maidenhead United. 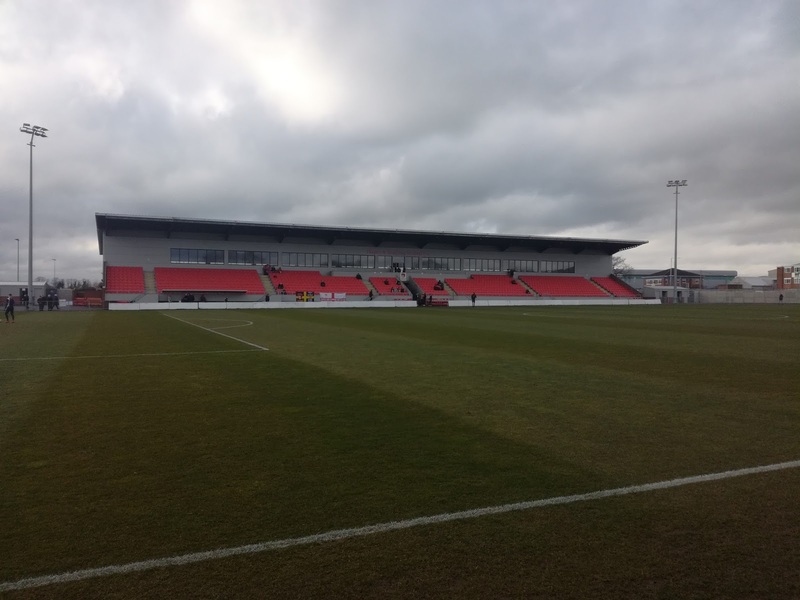 In another twist, they did finally move into the new stadium at the start of last season but were gone again after three games due to safety certification issues. Further moves then took them to Beaconsfield SYCOB and Hendon. It was all a bit unsatisfactory. 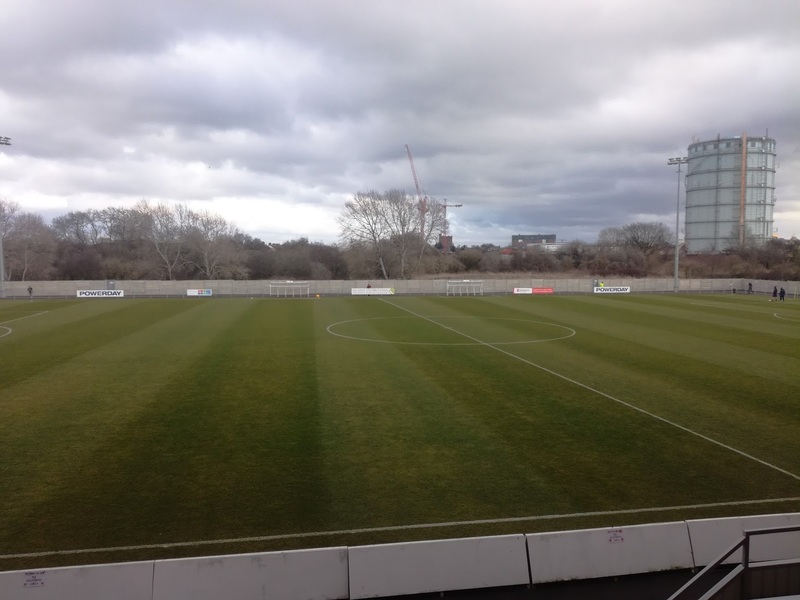 Finances were the major issue with the delays, but in the period from leaving Church Lane, they tumbled down the leagues and at the end of last season found themselves relegated from the Southern League Premier Division to the First Division East. The decline had been rapid, and was certainly not in the script when plans for the merger were drawn up just over ten years ago. So, that’s the potted history of two clubs becoming one, but where are we now, in the present day? 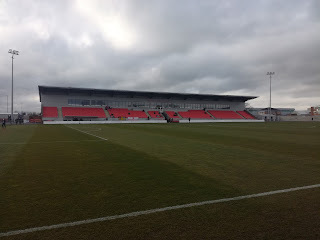 The Skyex Stadium (as it’s now known) became the permanent home of H&YU at the start of this season, and on the field it’s been pretty positive. Prior to today’s game with Hartley Wintney they sat in fifth place and are well set to make the end of season play-offs. With the visitors sat in third place, it was looking like being a very interesting encounter. 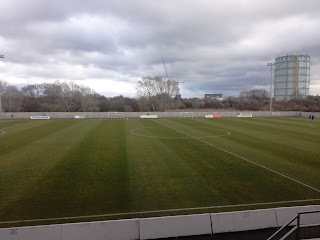 I saw a game at the old Church Road stadium just before it was vacated. It was against Ebbsfleet United and I loved what I saw, what character and what atmosphere. A while later I actually stayed in a Hotel opposite the ground, but by then it was no longer in use. The old ground is still signposted as you drive to the Warren, but it’s now a housing estate. The Warren was a long time in developing as you can imagine. 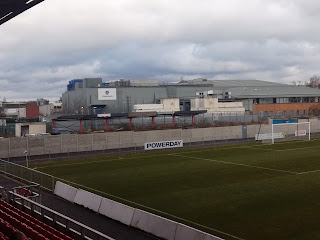 The pitch has moved around twenty yards to the South, while the framework of the former North Stand is still visible outside the perimeter fences. The old two storey building that housed the clubhouse and the dressing rooms is still in use, but only the offices and the changing rooms are utilised. The players actually exit the building before walking through a door at the back of the new stand which sits directly in front of it, and going down the tunnel onto the pitch. The stand at the Warren is a massive construction, containing 1200 seats, but other than what appears to be a boardroom and a temporary bar area, it is very much an unfinished project. This is no more exemplified by the fact the glass fronted social club area on the top floor of the stand is currently an empty concrete shell. Once completed it will be a superb structure, but how long it will be a work in progress is anyone’s guess, and until then the old, the new and the temporary will have to live together in harmony. The remainder of the stadium is hard standing, while refreshments can be had from a van that parks near the turnstiles. A crowd of 207 turned up to watch the game, with a vocal and passionate group of home supporters making themselves heard in the back of the stand. The hosts took the lead in the 22nd minute through a Laste Dombaxe goal, but the visitors equalised through a Dean Stow free kick that eluded Zaki Oualah. The highlight of the game came in the 58th minute when some great improvisation via a one- two with a player who managed to get his head to the ball while sat on the ground, set up Scott Donnelly to volley home from twenty yards. The goal is on the clubs Twitter feed and is well worth a look. Hartley Wintney pushed forward for an equaliser late in the game but never really threatened Oualah’s goal, and it came as no surprise when after a breakaway in added time, Manny Duku finished well to make it 3-1. The two clubs swap places in the table and the home club will be hoping the recent downward trend is about to be reversed and they can start to return to the levels they were once familiar with. By car, foot, train and bus the supporters of both Hayes and Yeading made their way home at the end of the game, and something struck me as I watched them departing, both the younger and older. It might have been a great 3-1 victory, the play-offs may be on the horizon, they are finally in their long awaited new home, but, what are they really thinking? And, how does it compare to their thoughts back in 2005?